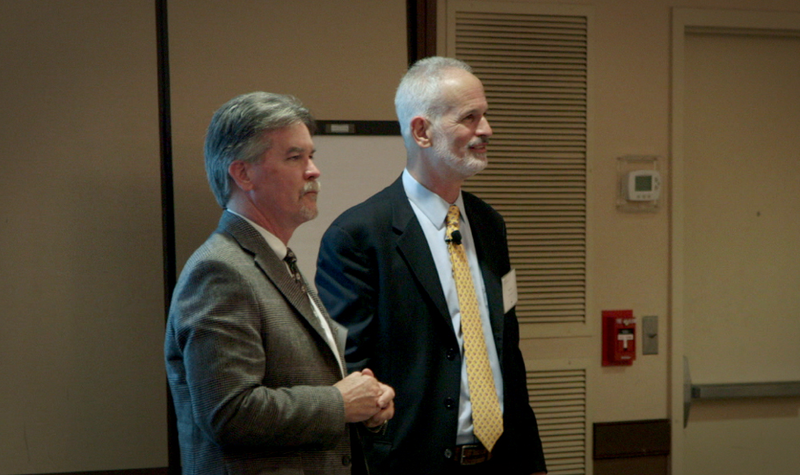 Always intrigued by what the future of healthcare might look like, I’m sharing a video that was shown at a research retreat hosted by the MedStar Health Research Institute, led by Neil Weissman and Kelly Smith. With a call from AHRQ, NIH, PCORI and more, to include patients and families in research that can be quickly implemented at the point of care, how far away do you think the healthcare environment envisioned by Microsoft above really is? What is your vision of healthcare delivery for the future? The research paradigm, like the educational paradigm, is shifting and all are being invited to contribute their ideas. Jump in! The overarching theme from her short video below is that games provide excellent learning environments by allowing for collaboration, team building, exploration of identities, and also a forgiving space where students have the ability to take risks and fail. There is a growing movement toward using these playful environments to uncover the needs of a future yet to be defined in many industries. Much of medical education has traditionally been the antithesis of this new order for education — where collaboration, continuous exploration and discovery are just as valuable as having what is believed to be the “right” answers for today. Will health sciences schools be willing to adopt a new culture of learning? Are some already doing so? Please share! Benchmarking and Safety: Should We Be Concerned? A standard of excellence, achievement, etc., against which similar things must be measured or judged. Any standard or reference by which others can be measured or judged. When I was young, my friends used to say I was too competitive for my own good–though they described my competitive tendencies with a little more color. They even accused me of “bending the rules” at times just to gain a competitive advantage. Whether it was the testosterone of my teens, or just something inbred in my character, I hated losing. As I grew older and entered healthcare, the competitive fire mellowed and my vocabulary changed to phrases like “win-win” situations, collaboration, shared learning…and benchmarking. Benchmarking is a very important tool used in most industries including healthcare. I have always been a big believer in benchmarking one’s outcomes against others. From an improvement standpoint, how else can we assess where we stand against a norm, and then use those benchmarks to focus on quality and safety improvements? Made total sense to me. Besides, from a safety and quality standpoint, hospitals are constantly being benchmarked against one another by numerous organizations that publish grades, scorecards, self-developed rankings, and more. Wow – Don’t Benchmark?? His statement reminded me of a quote I have often heard throughout the years…”In the land of the blind, the one-eyed man is king”. As I connect with safety colleagues and friends across the country, it seems we have all set the quality and safety benchmarking goal of being in the top 10% of hospitals across the country. Math was never my best subject, but even I can figure out we can’t all possibly be in the top 10%. It also means those that benchmark to the top 10% still have a long way to go to eliminate harm, as Paul points out. Striving to achieve quality and safety greatness is vital for all us; using outcome measures to track our progress is a necessary component in achieving that highest level of care. However, my growing concern is that benchmarking might be used only to gain the “competitive advantage” for increasingly uncertain healthcare dollars. If this mindset takes hold, then why share safety and quality best practices with others for fear you might lose your ranking to a competitor? 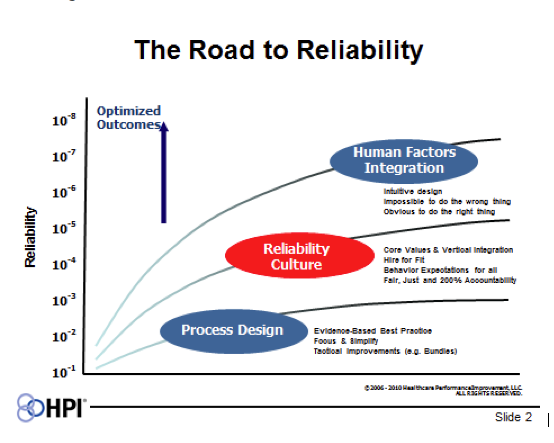 I don’t believe safety and quality people think this way…but am concerned many CFO’s have to. Competing on safety is something other high-risk industries, like aviation, have never done. Airlines may compete on things like on-time arrivals, lost baggage, or customer service, but they always share safety learnings and best-practices.